Chase Utley's days of getting hit by pitches are almost finished after announcing his plan to retire at season's end. On Friday, Los Angeles Dodgers veteran Utley said he will retire at the end of the season. The 39-year-old and six-time MLB All-Star is excited to start being a full-time dad. "It is a difficult decision, but it's one that I'm comfortable with," he said. The announcement is well-timed, coming 10 days before the Dodgers visit Philadelphia for what now figures to be a three-day celebration of a Phillies great. Utley was at his peak from 2005-10 as a core member of the Phillies team that reached back-to-back World Series, winning the title in 2008. He has been to the playoffs eight times in his 16-year career. 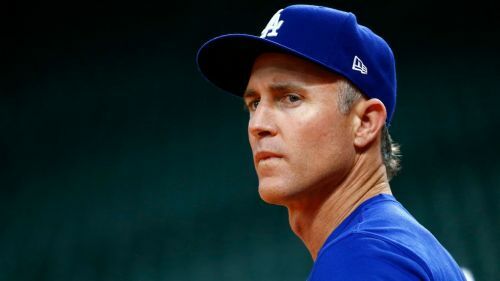 While injuries eventually cut into his playing time and diminished his effectiveness, Utley has been a key clubhouse presence for the Dodgers since arriving in an August waiver deal in 2015. Thursday's 3-2 win over the San Diego Padres was emblematic of his contributions, as Utley was hit by a pitch for the 201st time in his career — the most among active players and eighth-most all-time — to load the bases and help spark a three-run inning for the Dodgers.